When it was originally released in 1978, The Best of Earth, Wind & Fire, Vol. 1 was a succinct, ten-track collection of the group's best and biggest singles up to that point. There was one brand-new song, the excellent "September," which soon became a hit in its own right, plus the non-LP Beatles cover "Got to Get You Into My Life," which was recorded for the Sgt. Pepper's Lonely Hearts Club Band film, makes its first appearance on an EWF album here. EWF's commercial prime hadn't yet ended when this collection appeared; thus, it's missing several crucial latter-day hits, including the slinky funk of "Serpentine Fire," the ballad "After the Love Has Gone," and the disco smashes "Let's Groove" and "Boogie Wonderland." But even if it's an incomplete hits collection, The Best of Earth, Wind & Fire, Vol. 1 still ranks as a strong encapsulation of EWF the funk innovators. The singles gathered here constitute some of the richest, most sophisticated music the funk movement ever produced; when the absolute cream of the group's catalog is heard in such a concentrated fashion, the effect is dazzling. That's why The Best of Earth, Wind & Fire, Vol. 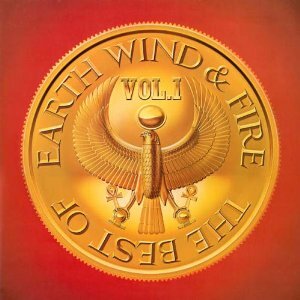 1 was remastered and reissued along with the rest of EWF's catalog, even though it's been supplanted by more extensive single-disc (Greatest Hits), double-disc (The Essential Earth, Wind & Fire), and triple-disc (The Eternal Dance) anthologies. 1998's Greatest Hits now stands as the definitive single-disc EWF overview, but for the budget-minded and the disco-phobic, this still makes for an excellent listen.